In 2016, Bayern was eliminated by Atletico Madrid in the Champions League semifinals. The 31-year-old Chile midfielder was on Bayern teams that were eliminated by Real Madrid the last two seasons, but he said he has nothing to prove against his new team’s biggest rival. “I don’t know if I have unfinished business with Madrid, but I do with the Champions League, which is my goal,” Vidal said Monday at his presentation. Bayern was eliminated by Madrid in the Champions League quarterfinals in 2017 and in the semifinals in 2018. 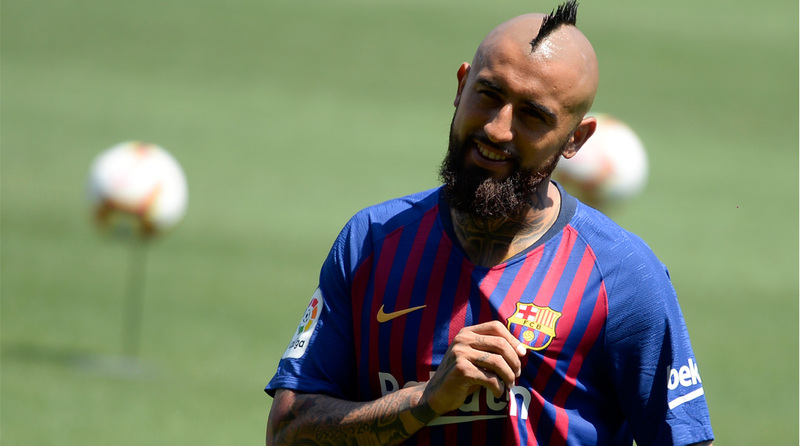 Earlier this year, Vidal didn’t hide his frustration with Real Madrid by posting messages criticizing the team on social media and saying it benefited from bad refereeing decisions. Vidal joined Bayern from Juventus in 2015, not long after the Italian club lost the Champions League final to Barcelona. Juventus and Vidal made it to the quarterfinals of the European competition in 2013, losing to Bayern. Vidal was one of Chile’s key players when the South American nation won the Copa America in 2015 and 2016. He was also in the Chile squad that finished runner-up in last year’s Confederations Cup in Russia. Barcelona has also signed Arthur, Malcom and Clement Lenglet, while Andres Iniesta, Paulinho, Lucas Digne and Gerard Deulofeu left the team. On Monday, Ivan Rakitic, Samuel Umtiti, Luis Suarez, Philippe Coutinho, Yerry Mina and Thomas Vermaelen rejoined the squad following the World Cup. Lionel Messi, Sergio Busquets, Gerard Pique, Jordi Alba and Ousmane Dembele had already reported to the team. Barcelona is the defending Spanish league champion.